In Kanbanize, you can track the pure time you have spent on a given task or a subtask by manually logging time on your cards. Kanban software does both the time tracking and the reporting. The Timesheet report tool shows an aggregated view of the time logged per each of the users, for a given period of time. The report also allows you to aggregate the entries per day, to exclude weekends and to get data for a selected workspace/board/columns and lanes. On top of that, you are also able to export all the data in Excel. Only Account Owners or Workspace Managers can configure, generate and review Logged time reports. To run a Timesheet report -> go to your dashboard and open the Retractable menu-> select View Reports. 1. How to generate a "Timesheet per user" Report? The Report displays total logged time for each registered user in your account. You can narrow down the search results by applying one or more filter. For more detail, you can see the number of cards users logged time for the defined search period. 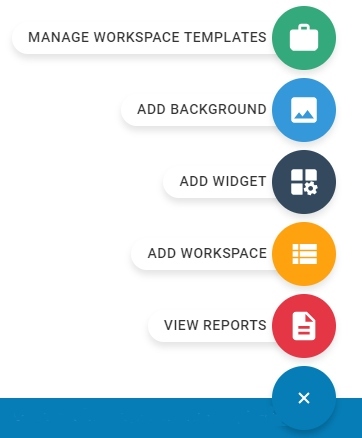 (1) Workspaces and Boards: expand the menu and checkmark all Workspaces and Boards; a set of boards or a single board for which you wish to generate the report. Tip: You can use the filter option by entering a keyword for a quick search. (4) Time logged by: to choose who you want to include in your report, expand the Author dropdown and mark the users to appear in the report. By default, all users will be included (Time logged by). (5) Date: if you want to see the time logged today or last week, just expand the Date dropdown and choose the range you are interested in. If you prefer custom dates, choose “Range” and then Begin date and End date. You have the option to mark users who have logged more/less than x hours per period or per day. Set a check mark on the condition you wish to activate and enter the targetted number in the box. For example, if you always expect people to log 8 hours per day, you may want to highlight entries that don’t meet this criterion. If you check the “Mark users who logged less than X hours” option, the report will automatically highlight the entries with yellow color. Respectively, the report will mark with blue the entries which meet the “Mark users who logged more than X hours” criterion. If you are interested in the total amounts of time (e.g. 40 hours per week), choose the time range that you are interested in and check the “Mark users who logged more/less than X hours per period” option. Use this option to generate a time sheet for the entire team or just for yourself. It will check how much time has been logged each working day for the entire period. If no time is logged the report will show 0. This option is handy if you have a smooth distribution of the workload and you expect time to be logged each day. The exclude weekends option ignores time logged during weekends. It makes sense to use this option if you aggregate the log entries per day and your work week is standard (Monday – Friday). Expand the Advanced Options section. It allows you to narrow down your search and display only cards matching a filter for the specific card attributes you have defined: Assignee, Priority, Tag, Size, Color -> select your preferred criteria from the corresponding dropdowns. Tip: checkmark the box if you want to show subtasks separately within the report. click the Search button (1) and the system will generate a report in a table format with all the details included. Tip: checkmark the box if you want to export all card details. Note: card details cannot be exported when "aggregated per day" is enabled. 2. How to generate a "Worklog per card" Report? In the Reports panel, go to the Report field and select Worklog per card option. The "Worklog per card report" displays all cards in the system for which users have logged time. (4) The Advanced Options allow you to search for specific card attributes: Assignee, Priority, Tag, Size, Type, Color. Select your preferred criteria from the corresponding dropdowns. You have the options to mark: Blocked or Show Subtasks. Blocked - the report displays blocked time of cards and the corresponding blocked reason. How to set up an SPF record?